Created in September 2014, Awkward Silence Jax presented it's first full length sketch comedy revue on November 1st, 2014. 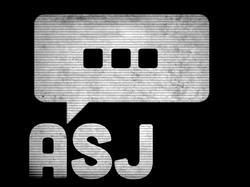 All of the material in the show was written, directed and performed by ASJ troupe members. After the success of our first revue, we have written and performed many other successful shows in Northeast Florida. We even travelled to Orlando to participate in the 2015 Orlando Fringe Festival. We love bringing laughter to our audiences and have a lot of different projects in the works! Check out our tickets page for upcoming events!